Visit at Facebook at Bark'n Mad Dogsports! 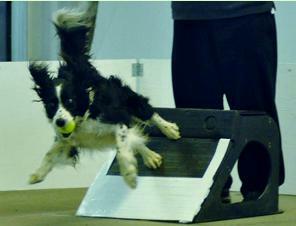 Bark'n Mad Dogsports is a group of people who want to have fun with their dogs playing flyball, disc and weight pulling. We are based in and around Edmonton, AB. We have all different breeds and sizes of dogs on our team, from the smallest of dogs to the biggest of dogs, pure bred or all Canadians. We encourage any breed of dog come out and play and have fun!